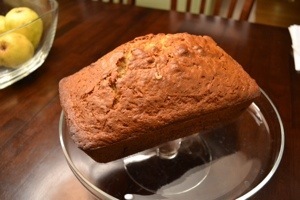 We love banana bread around here! This one was no exception. Coconut and banana! Yum! In the bowl using a wooden spoon mix the oil and sugar. Add the eggs, one at a time, beating after each addition. Stir in the vanilla extract. 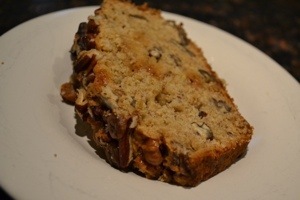 This banana bread was sooooo good and so addicting! The pecans, the caramel yum yum yum!!! Heat oven to 350°F and place rack in center of oven. Butter or spray with non-stick vegetable spray bottom and sides of 9×5-inch loaf pan. Set aside. In a large bowl, combine flour, sugar, baking powder, baking soda, salt, 2/3 cup pecans, and half of caramel bits. Set aside. In a medium bowl, combine bananas, eggs, butter, yogurt, and vanilla extract. 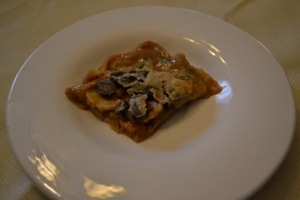 Lightly fold wet ingredients into dry ingredients just until combined and batter is thick and chunky (do not over mix). Spread batter evenly into prepared pan and sprinkle with remaining 1/3 cup pecans and caramel bits. Bake 50 to 60 minutes or until bread is golden and toothpick inserted in center of bread comes out clean. Place on wire rack to cool before removing bread from pan. I picked up more of tjs crunchy cookie butter my last trip there and had to find something to bake it in! 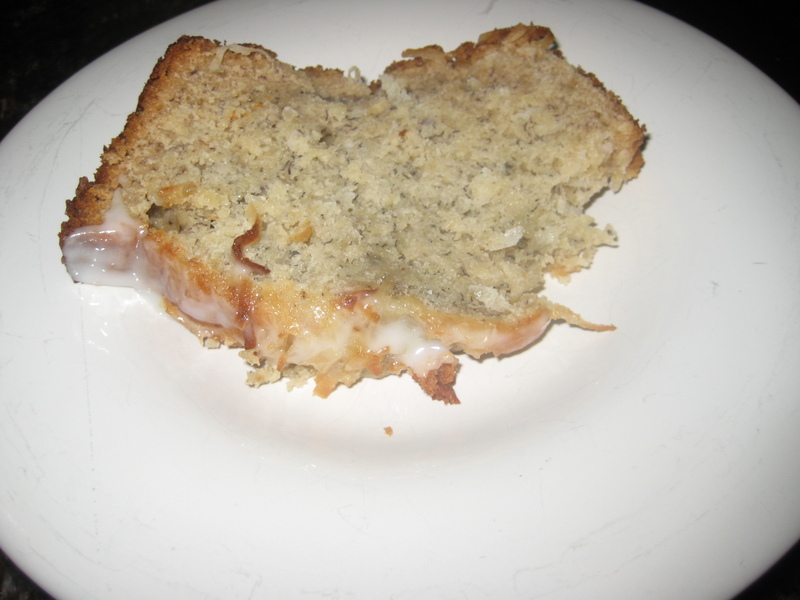 This turned out yummy but runny. Definitely needed to be in the fridge! Preheat oven to 325F, line an 8-by-8-inch baking pan with aluminum foil and spray with cooking spray; set aside. In a small bowl, combine the graham cracker crumbs and melted butter and stir to mix. Transfer mixture to prepared pan, spreading it evenly and using your fingers to pack it down. Add sliced bananas (about 1/8th-inch thick slices) over entire surface of graham crackers; likely needing 60 to 70 slices to cover the surface of the pan. Sprinkle chocolate chips evenly over the bananas; set pan aside. In a small microwave-safe bowl, combine the sweetened condensed milk and Cookie butter and heat on high power for about 20 seconds, helping to soften the Cookie butter and stir to combine until mixture is uniform (if your cookie butter is already soft and can be stirred easily into the sweetened condensed milk, skip the microwaving step). Evenly pour the mixture over the chocolate chips. Bake for 23 to 26 minutes, or until top is set and golden and edges have pulled away slightly from the sides of the pan; taking care not to overbake because the sweet milk and graham crackers will have a tendency to scorch nearing the completion of baking. Allow bars to cool in pan for at least 30 minutes before slicing and serving. Optionally, garnish with whipped cream or whipped topping, or serve with a scoop of ice cream. Store bars in an airtight container at room temperature or in the refrigerator for up to 5 days, or in the freezer for up to 2 months. I prefer these chilled and keep them in the refrigerator. 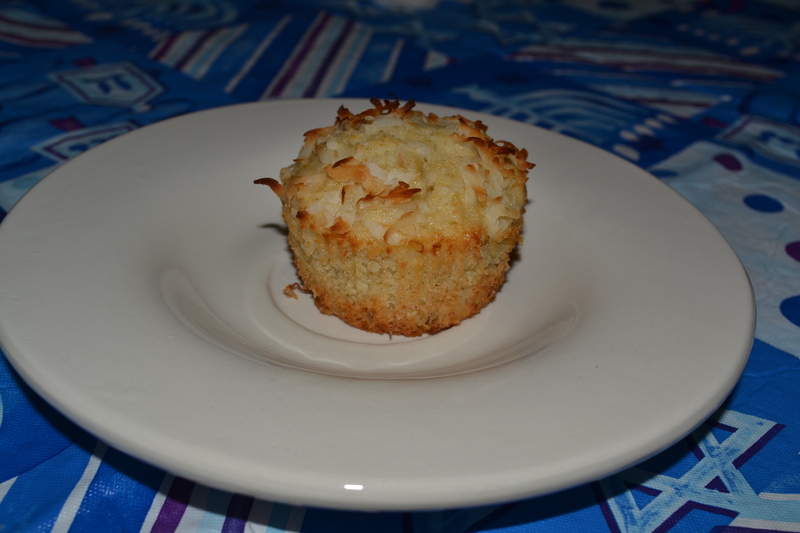 after making the banana coconut muffins i still had bananas left! these looked really promising, but after the aforementioned banana coconut muffins these were really heavy! they were good but heavy! also we really couldn’t taste espresso flavoring. this recipe yielded 24 cupcake size muffins. Preheat the oven to 350 degrees F. Line muffin cups with muffin liners or spray with nonstick cooking spray. In a medium bowl, stir together the bananas, sugars, butter, milk, and egg; set aside. In another medium bowl, whisk together the flour, instant espresso powder, baking soda and salt. Make a well in the middle of the dry ingredients. Pour the wet ingredients into the well and stir just until combined. Fold in the chocolate chips. Fill each cup about 3/4 full. Bake in the center of the oven for 20-25 minutes, until a toothpick inserted in the center of the muffin comes out clean. i’m always looking for more banana recipes. for some reason NO ONE touched the bananas i bought on my last trip so of course i have to bake with them! these turned out delicious! even the husband liked them.. i used cupcake pans and got 12 out of the recipe! Put oven rack in middle position and preheat oven to 375°F. Line 8 muffin cups of a standard muffin tin with liners. Heat oven to 325ºF. Grease two 9″ cake pans. Cream the butter and sugar until fluffy then add the eggs and beat until silky and lightened. Sift the flour with the baking soda and salt. Whisk the milk and mashed bananas in a separate measuring cup and add to the eggs and butter, alternating with the flour. Beat just until smooth. Pour batter into the prepared pans. Pour half the caramel sauce into each pan, and swirl with a knife. The pans will be quite full. Put in the oven carefully and bake for about 60 minutes, or until the centers are set and a knife comes out clean. we had some bananas going brown so of course i had to use them up – my usual choco chip banana bread sounded way too heavy so i decided to try something different. these came out really good and not as heavy as the bread! Preheat oven to 350 degrees F. Position rack in center of oven. 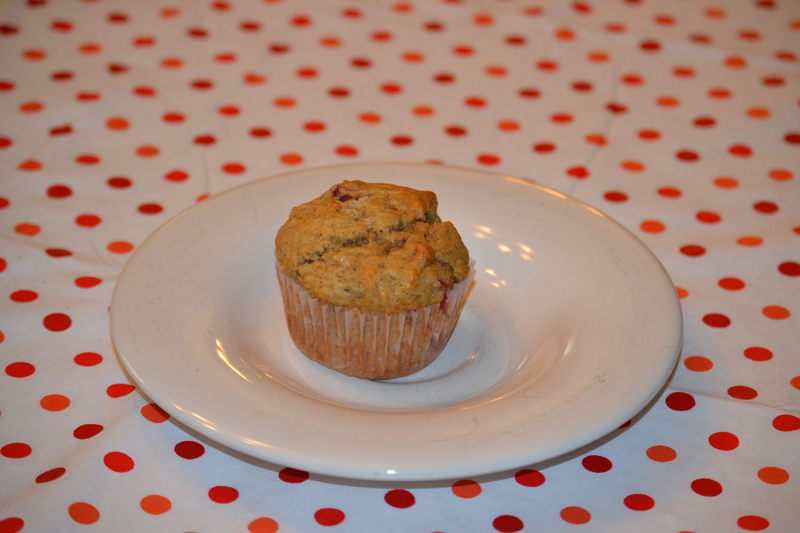 Line 12 muffin cups with muffin liners or spray with nonstick cooking spray. In a small saucepan melt the butter. Set aside. In a medium bowl whisk together the brown sugar, eggs, vanilla extract and mashed banana. Add the melted butter and stir to combine. In another large bowl combine the flour, baking powder, baking soda, cinnamon, and salt. Fold in the berries, making sure they are coated with flour. Divide the batter evenly among the 12 muffin cups. Bake until muffin tops are golden and just firm, 20 to 24 minutes, rotating halfway through baking time. 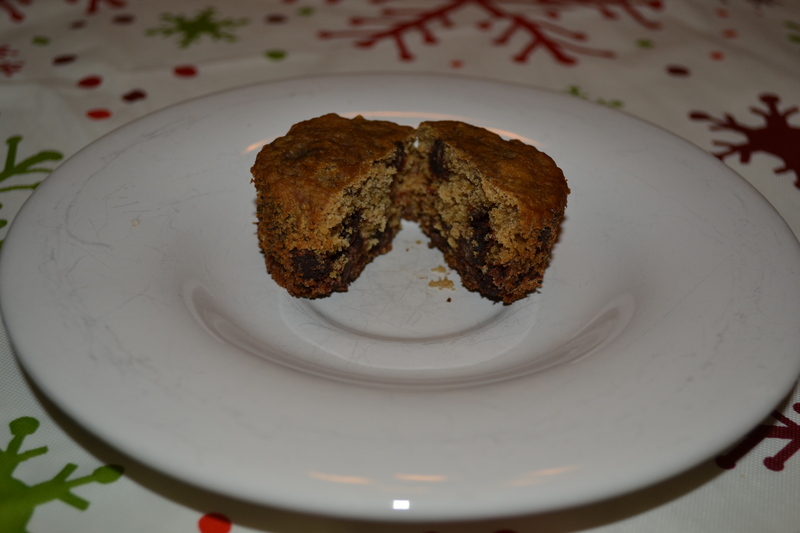 Cool muffins in muffin tin for 5 minutes, then transfer to wire rack and cool 5 minutes before serving. 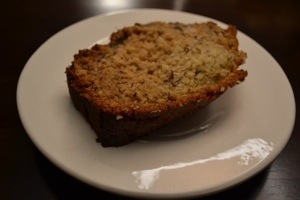 i finally had some overripe bananas to make this recipe — usually bananas go super fast at our house with all 4 of us eating them, but we were out of town for a wedding and there were leftover bananas. the bread turned out really good – it was much better warm straight out of the oven and i feel like it would be better with some of the lime glaze in the middle of it somehow. maybe making it as muffins instead? or cutting it in layers and putting glaze in the middle that way? 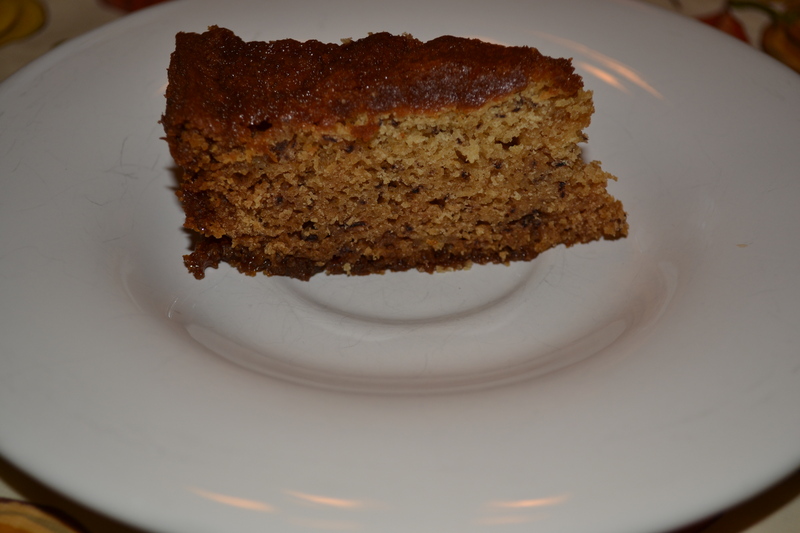 i think i’ll stick to my normal choco chip banana bread instead!